The previously held #SourcingContest had its grand finale at #TASCON15 with the conduction of the Mega Sourcing Contest. Similarly the Mega Sourcing Premier League Challenge was the grand finale to the two Sourcing Premier League Challenges (#SPL1 & #SPL2) that were conducted prior to #TASCON16. Sourcing ADDA (@SourcingAdda) as a Talent Acquisition and Sourcing Community have been proud hosts of #TASCON15 & #TASCON16, 12 Sourcing Contests (#SourcingContest, Apr’14 to Mar’15), the Mega Sourcing Contest, the Sourcing Premier Leagues (#SPL1 & #SPL2) and now with the Mega Sourcing Premier League Challenge success. The Sourcing Premier Leagues (#SPL1 & #SPL2) which were hosted was a continuation to our previously held #SourcingContest with its grand finale being Mega Sourcing Contest live at #TASCON15. Similarly the Mega Sourcing Premier League Challenge was held live at #TASCON16. The #SPL Challenge started on June 5, 2015 with a crack the code contest wherein the contestants had to send their responses to the email ID cracked as the 2nd part to the contest. And below are the details to the same. The first 10 submissions will get 5 Bonus Points in the #SPL Challenge to be held. The puzzler if solved correctly completed the Email ID (___@sourcingadda.com) to which the responses had to be sent. Upon cracking the code the contestants had to send their responses to that Email Id (spl@sourcingadda.com). The icing on the cake was the 5 Bonus points that the first 10 submissions received at the start of the #SPL making them ahead of the rest of their competitors. The participants that received these points were marked by an “*” against the names of the contestants and the company they represented. The contestants that received these bonus points were revealed at the end of each of the challenges #SPL 1 & #SPL2 on the Individual as well as the Company LeaderBoards. Prior to the start of #SPL we hosted 2 webinars on the skills required to boost success. #SPL 1 began in June 2015 and ended in September 2015. #SPL 2 began in Nov 2015 and ended in March 2016. Both #SPL1 and #SPL2 each had 3 identical levels with the same format. There were 2 types of LeaderBoards for the participants to refer to and watch their progress. One was an Individual LeaderBoard and the other was a Company LeaderBoard. We had two LeaderBoards so that the individuals could track their performance at an Individual level and even at a Company level. The winners of the #SPL1 won an iPad 3 each and would not be taken into consideration if they win #SPL2 as well, in order to give others an opportunity to win. While the #SPL2 winners won an iPad 4 each. Each one of them gained entry into the Mega Sourcing Premier League Challenge. Sourcing Adda hosted two Sourcing Premier Leagues (#SPL1 & #SPL2). The SPL that began in July 2015 ended in March 2016. The 3 winners from each of the two Leagues participated in the Mega Sourcing Premier League Challenge which brings the total to 6 contestants. We even had two more addition to this challenge. These were the Surprise Entries called the Wild Card entries that were selected live at #TASCON16. Each of these contestants got the opportunity to compete with each other in the Mega Sourcing Premier League Challenge scheduled for April 2016 to win exciting prizes live at #TASCON16. In this challenge the previous 3 winners of the two Sourcing Premier Leagues (#SPL1 & #SPL2) competed with each other and the wild card entry contestants to win the Mega Sourcing Premier League Challenge. The wild card entry contestants were picked from a pool of the previously held Sourcing Mega contest participants hosted by Chinmay Chavan (@SourcingNinja). At the end of the event the winners of the Sourcing Premier League were presented with trophies for two levels categorised into the Individual LeaderBoard and the Company LeaderBoard. On the Individual LeaderBoard the #SPL1 winners were Ritesh Madraswala the Winner, Anju Rai was the Second runner up and Ashish Peshave was the Third runner up. Similarly for #SPL2 Roland Pavamani was the Winner, Aparna Agrawal came in Second and Kiran Paratane came in Third. On the Company LeaderBoard we had Helix Recruiting as the Second runner up, ZS Associates as the Third runner up and the winners were Capgemini for #SPL1. Along the same lines we had Helix Recruiting as the Second runner up, the Third runner up wasn’t present hence we proceeded to the winners for #SPL2 and once again it was Capgemini. Unfortunately the Sourcing Premier League Challenge wasn’t solved as planned by the organisers due to the difficulty level in spite of the contestants putting in their very best efforts. The challenge wasn’t completed as expected hence the team decided to reward the first individual to solve the 2nd milestone correctly. Therefore Ritesh Madraswala was declared the winner and presented with a Trophy and a Digital Camera as a gift. To those who were present, it’s safe to say that overall it was an amazing challenge where the participants put in their best efforts and was enjoyed by all participants including the host. The competitors displayed great sportsmanship and were not defeated just yet. The attendees enjoyed #TASCON16 and were eagerly waiting for their next challenge and #TASCON17 to add to their knowledge. Overall it was a grand success, if you’d like to get updates to our upcoming events and activities it is absolutely essential that you follow us @SourcingAdda right now! Linkedin the favoured buddy of Talent Acquisitionists is about to change the way Talent is Sourced with Microsoft taking it over. Everyone in the field is wondering whether it’s going to be a boon or a bane. Thus it’s the talk of the neighbourhood in the Talent Acquisition Industry. The discussion above has highlighted several aspects on different levels. It has focussed on the pros and cons of this arrangement from a business level where the positive aspects can also become negative aspects if not well managed. It covers the difference between the two and their impact on the Talent Acquisition Industry. We’ve addressed the Pros & Cons from a Recruiters as well as Linkedin Employees perspectives and I’m sure you can think of other aspects that we’ve overlooked or not covered. So let’s highlight the key take a ways from the discussion so that you can add to this list. Linkedin the founders created a set of values surrounding Business and Networking in general as indicated in their book ‘The Start Up of You’. If you’d like to add to your learning then it is imperative that you join in these conversations. Be sure to follow us @SourcingAdda to get real time updates to our upcoming activities. Now that you’ve read this far would you care to mention a few that might have clicked while reading? If yes then leave your views in the comments section as we’ll like to hear from you too. Digitalisation has always been a favourite topic for discussions and as Talent Acquisitionist’s we constantly hear of Digitalisation in HR and its effects. But have you stopped to think for yourself about digitalisation? Based on the conversation above we can conclude that there are few things that we still haven’t implemented even though we’re in the digital age. I’m sure that if you’ve read this far you too will be able to identify the improvement areas for the Talent Acquisitions at your organisation. Here are the key take a ways on several aspects that matter i.e. from a Recruiter’s and Corporate’s perspectives including the challenges faced and the pros of digitalisation. Now you too can be up to date with the current trends that are followed. 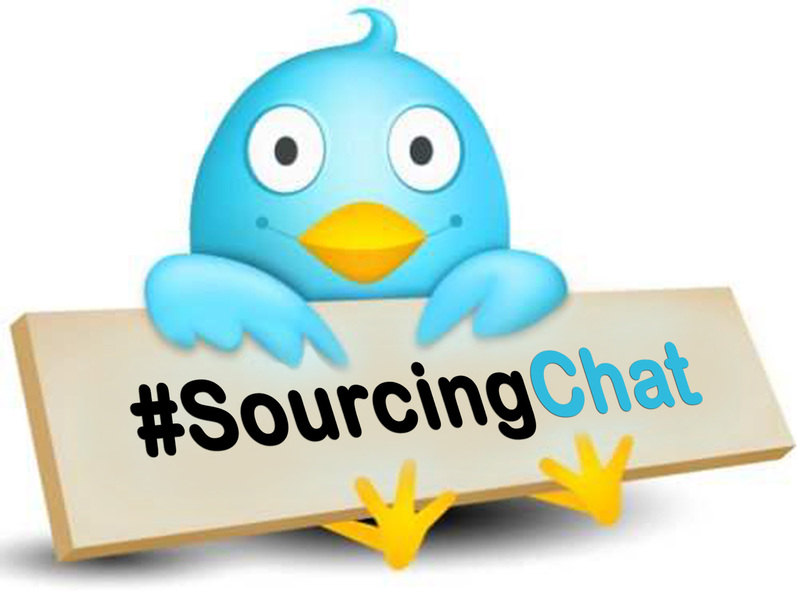 Here we go again another successful #SourcingChat for Sourcing Adda (@SourcingAdda). We @SourcingAdda are glad to have so many Talent Acquisitionists expressing their views which have enlightened us as well as our fellow participants. The participation that we’ve had has certainly assisted us in achieving our objective. We are consciously trying our level best to make this experience a memorable one that will not only enlighten you but others as well simultaneous with fun as a finishing touch. Do you think Companies are Competency based? There we have it our Top Tweets of the #SourcingChat, now your Tweets too can be listed out provided you participate in our next #SourcingChat by following @SourcingAdda. Here you will have access to all the #SourcingChats we’ve had so far and upcoming ones. As Talent Acquisitionist Professionals we are all aware of the various issues faced and we’re constantly looking for solutions and sometimes the advice we get from professionals within the Recruitment Industry tend to be most effective. This brings a perfect end to an enlightening conversation. I bet we’ve all picked up a thing or two from it that we can implement in our Candidate selection process. I’ve surely learnt a lot more from these Thought Leaders and I’d like to thank our members for their inputs and suggestions. If you want a recap of previous sessions then follow @SourcingAdda.